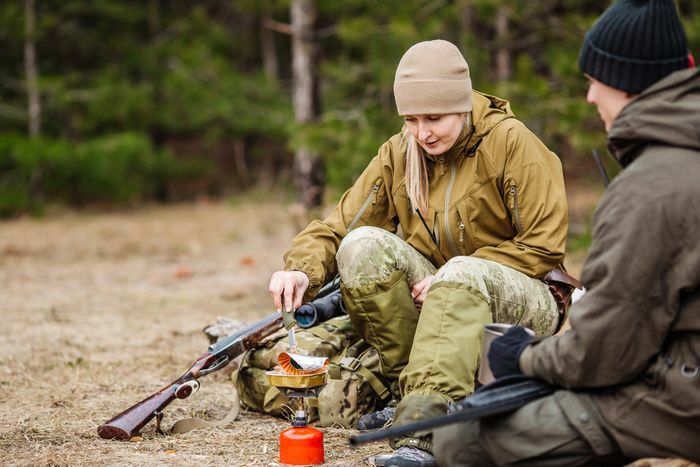 Hunters may not realize that when out in the field, they burn more calories than usual. Backpacking into remote locations over hilly terrain can give you a good workout. In order to avoid getting easily fatigued or losing weight, you need to increase the number of calories that you take in. This will help you to compensate for the increased calorie burn. It will also help your body to generate the additional energy that you will need for hunting activities. This guide is written to give you useful information about the best food to take hunting and it will explain the reasons why. How Many Calories Do Hunters Burn ? The average rate of calorie burn for deer and elk hunters can range between 6,000 and 9,000 calories on an active day. The range for sheep hunters increases to a range of between 8,000 and 11,000. Everyone is an individual and the actual amount depends on the types and levels of physical activity that are being exerted. What Can Happen If You Don’t Add More Calories ? The rule of thumb for maintaining body weight is that you have to take in as many calories as you burn. When you’re out walking, climbing, dressing and hauling an animal, you exert a lot of physical energy and it burns more calories. If the calories are not replaced you will not have enough fuel to generate more enery and you can become fatigued more easily. The odds are in favor of you losing weight while hunting. It’s difficult to bring your calorie count high enough to prevent it. This is why it is so important to have healthy foods that are high in calories and nutritional value. Why Calorie Dense Food Is Recommended ? Most hunters carry a backpack to store essentials including food for the day. In order to keep the backpack light enough to carry, try to choose items that contain 100 calories for every ounce of their weight. This will help you to make up for the calories that you’ll be burning. Avoid foods that contain empty calories such as those with high sugar or starch content because the sugar may give you a rush, but your energy levels will soon be depleted. You need solid nutrition that makes the fuel your body requires for giving you energy. When you’re physically active, the best types of foods will be those that have a high protein count along with fats and carbohydrates. Your food choices should include items that are packaged in containers that will be easy to fit into a backpack. They should also be things that you enjoy eating. Choose lighter options that are packed with calories. For example, an apple is heavy and the caloric count is low. Make sure that the foods you take for your backpack are easy to open and ready to eat. You can save the heavier items and those that will need preparation for when you get back to camp for the evening. Some hunters plan on having a big breakfast before heading out, while others skip it altogether and opt for snacking until dinner time. It’s best to start out with a nutritious meal if at all possible. This can help to tide you over along with the snacks that you carry until the evening meal. Think in terms of calorie count and generating the energy you’ll need while out in the field. 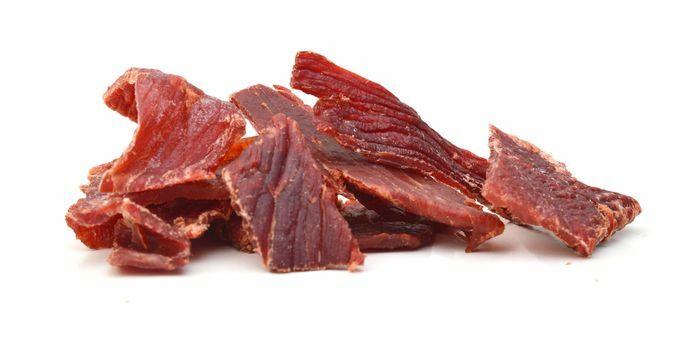 Jerky will give you a supply of fat and protein for more energy. It contains 90 calories per ounce and is easy to carry in a backpack. 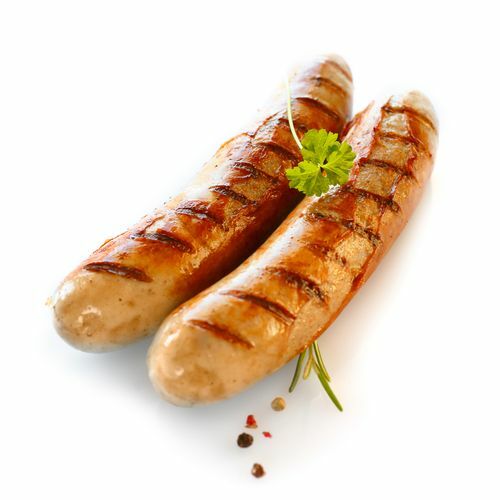 Summer sausage is a great choice that offers protein and a fairly high fat count. It supplies 90 calories per ounce. These healthy snack crackers give you 120 calories for every ounce and make a great addition to summer sausage. They are lightweight and offer carbohydrates and roughage in your hunting menu. 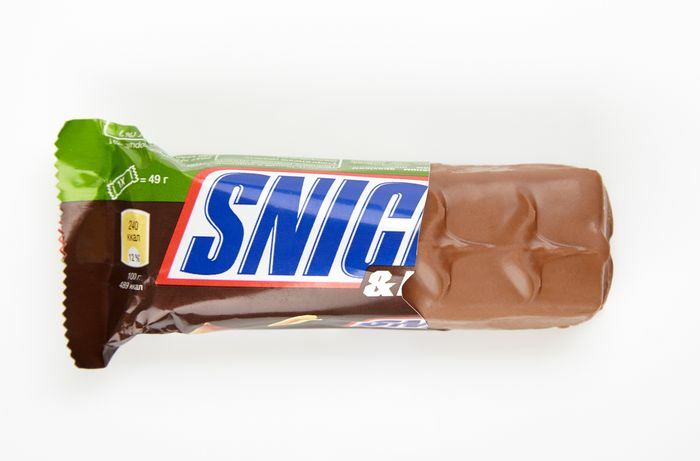 While a Snickers bar does contain quite a bit of sugar, it also has peanuts and nougat. If you have a sweet tooth, this candy bar can offer you a treat that contains 132 calories per ounce. While it’s a great idea to watch the amount of sugar you take in, there is no need to totally eliminate it from your hunting diet. Granola contains 100 calories per ounce and is good to eat in a snack bar while out in the field. It provides fat and complex carbohydrates for maintaining a good store of energy. 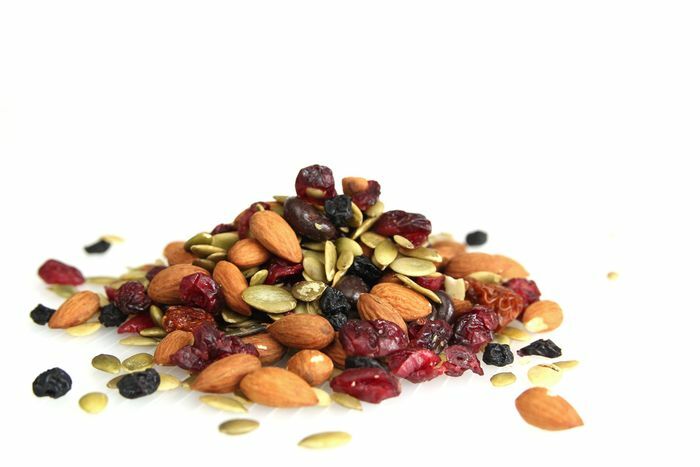 Packing a bag of nuts that weighs 5 to 6 ounces can give you a tremendous calorie boost. Choose your favorite type so you’ll enjoy the snack. Here is the caloric breakdown of select kinds. 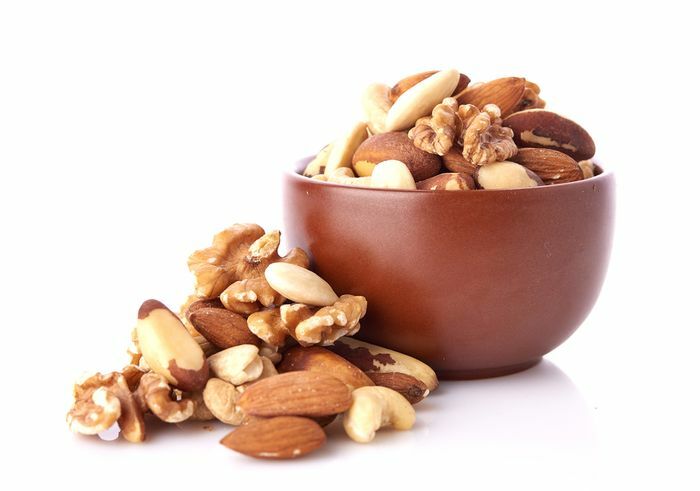 Nuts are high in Omega 3 fatty acids. This is the good type of fat that gives your body the nutrition that it needs for good health and higher energy levels. They also provide you with protein for converting calories into energy. Peanut butter can be purchased in a variety of different sizes. 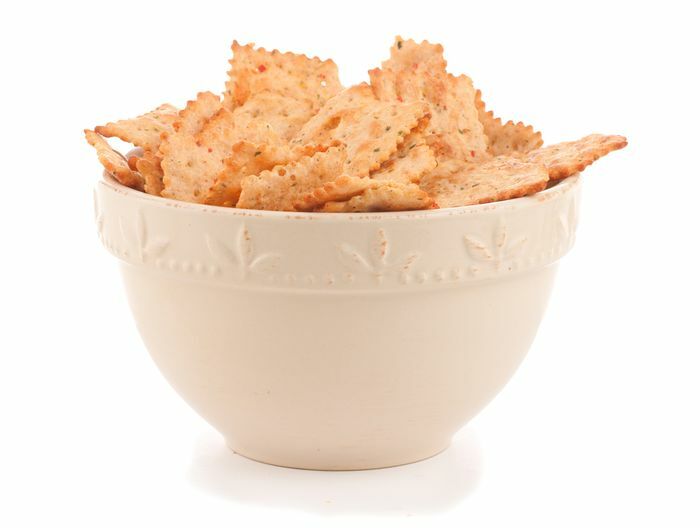 It gives you 165 calories per ounce and is packaged in plastic jars so it is more lightweight for carrying. If you like the taste, you could eat it on a sandwich or on crackers for a quick pick me up. 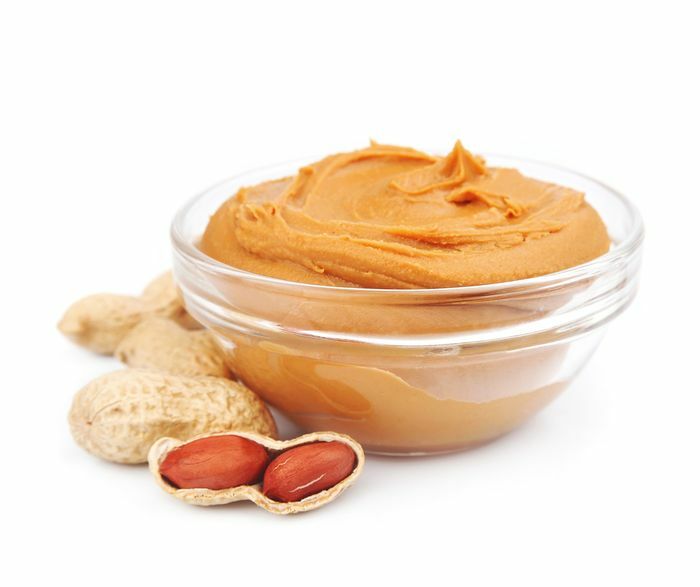 The benefits of peanut butter are that it contains a lot of protein along with a little bit of fat, for an ideal energy food. You can also spread peanut butter, jam or nutella (150 calories per ounce) on a flour tortilla which has 87 calories per ounce. Tortillas are easy to pack in a backpack and they don’t weigh much. They supply you with additional carbohydrates and can reduce your craving for bread. Tortillas are easier to carry because bread has a tendency to become smashed or crumble when placed in a backpack. 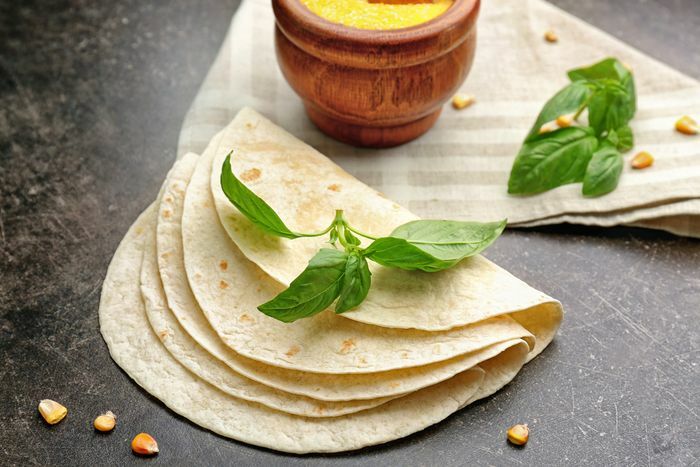 You can also prepare filled tortillas in advance using refried beans which will add 1.5 grams of protein, 25.5 calories and a small amount of fat per ounce. This quick snack can help to satisfy hunters who have a sweet tooth or who crave chocolate. It contains peanuts which contain healthy nutrients and the addition of fat which slows the rate of calorie burn slightly. 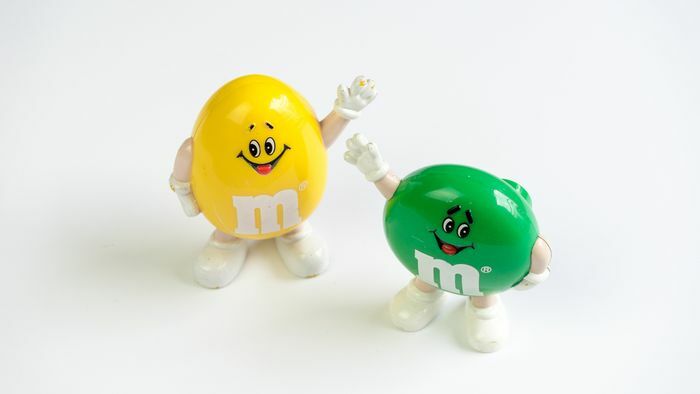 M&Ms contain 160 calories per ounce. A package is easy to carry in a backpack or in your pocket for that matter. 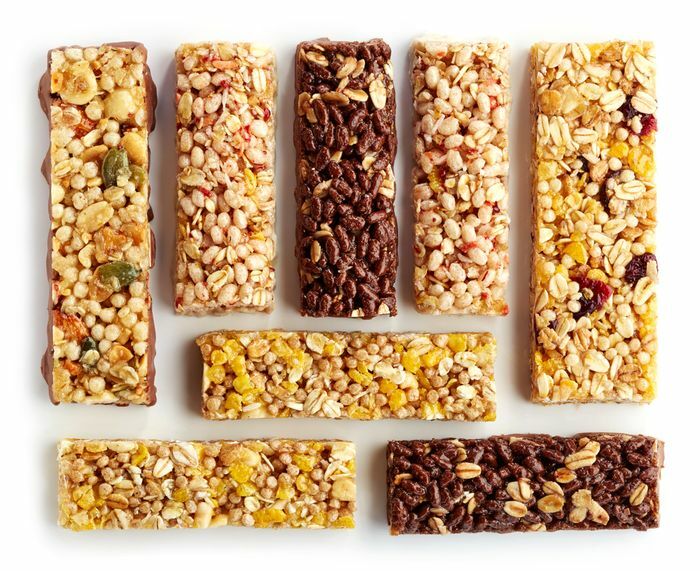 These are some of the fast snack foods that are lightweight, yet packed with calories and good nutrition while you are out hunting. They can easily be carried with you wherever you go, and will help to supply you with the energy that you will need to make that great shot, and follow up with dressing and bringing your kill back to camp. 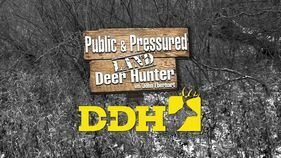 Lack of available energy can make all of the work associated with hunting more tiresome and less enjoyable. Some hunters go all out when it comes to meal preparation in camp. Others may skip a meal and depend on snacks and a single meal in the evening. The best advice that you can take is to resist the urge to skip meals. Instead of eating less, you need to be taking in more. Here are some calorie dense meals that will give you a good supply of the nutrients that you need for a great hunting trip. These foods are ideal for hunters who have set up a camp and who have equipment for cooking and storing perishable foods. 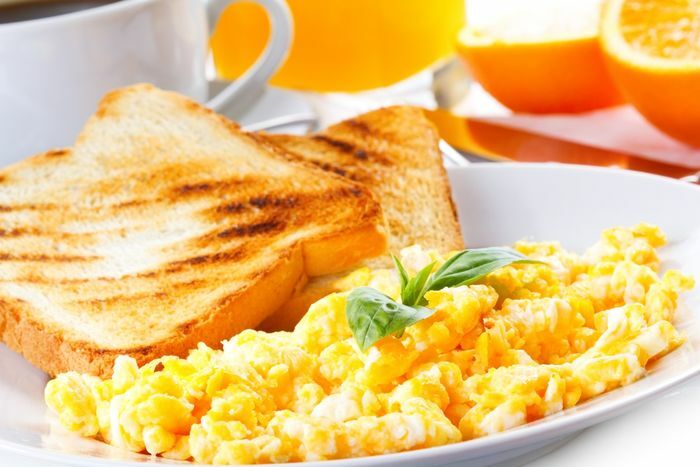 Scrambled eggs contain 60 calories per ounce and offer 4.5 grams of fat and nearly 4 grams of protein. A 4 ounce serving will give you 240 calories. 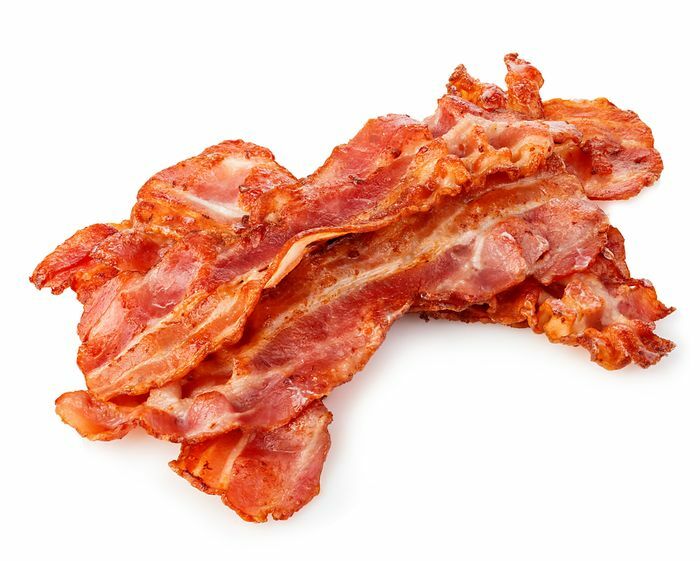 One ounce of bacon has 151 calories and gives you some fat and protein to work with for slowing the speed at which you’ll burn calories throughout the day. 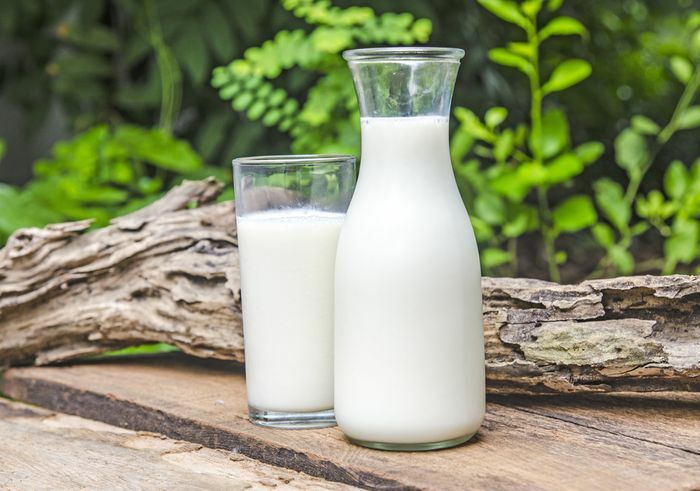 The dehydrated form of whole milk is easy to carry in a backpack and is useful in preparing meals or for adding water and drinking for hydration and its nutritional value. It adds 150 calories per ounce. In addition to drinking a glass of milk, it can also be used with granola cereal in the morning which offers an additional 100 calories per ounce of cereal added for a fast and easy breakfast choice. Oatmeal is a grain that contains a good amount of carbohydrates with some simple sugars. 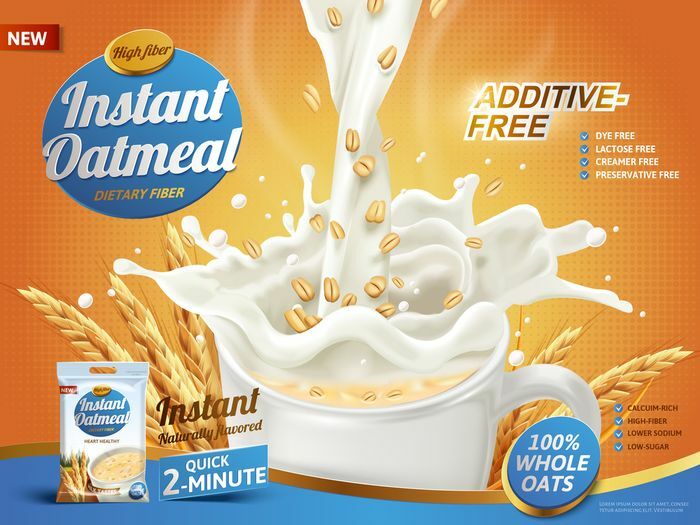 It contains 107 calories per ounce and the caloric count can be enhanced by adding a few ounces of powdered milk which has been rehydrated. This is an easy side dish that can be quickly made in camp for dinner. 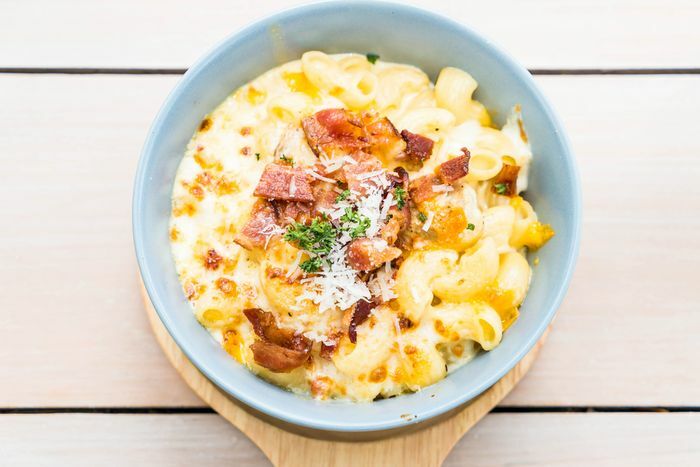 Macaroni and cheese supplies 108 calories per ounce and is high in carbohydrates. When eaten at the evening meal, this popular comfort food can help you to sleep better because it has a relaxing effect due to the high level of carbs it offers. 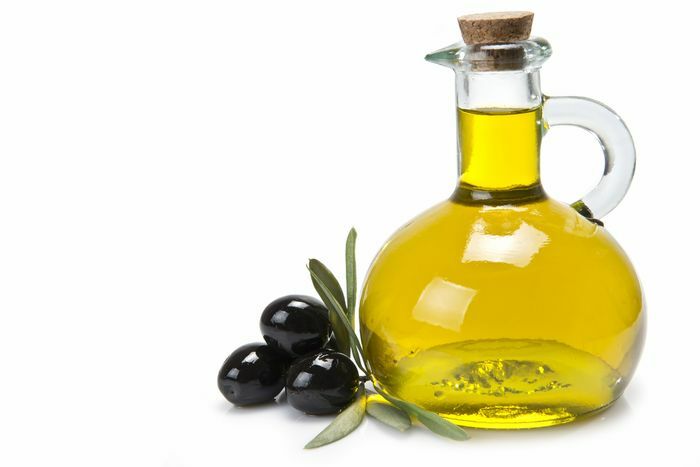 Take along a small bottle of olive oil for use in meal preparation. It adds 238 calories per ounce to any food that it is used with. It can be used to prepare fried foods or in pasta dishes. Tuna is now sold in convenient pouches that are easy to carry and do not require a can opener to access. 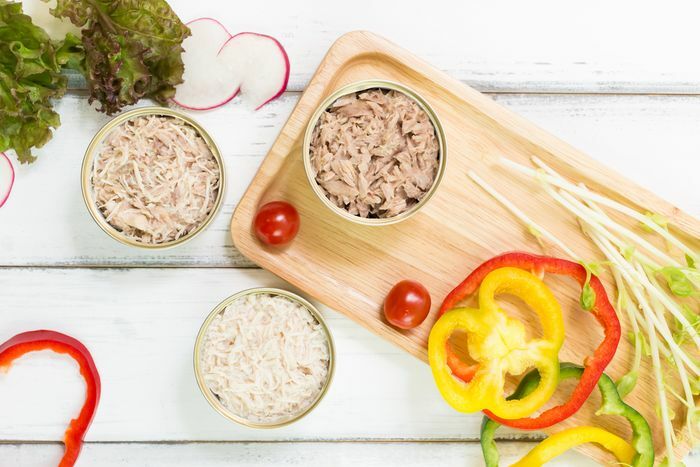 You can use tuna for the protein it contains. The calorie count is low at 25 cal per ounce, but it can be combined with other foods like macaroni and cheese, used in a sandwich or on crackers, for a great addition to your meal. Use it for lunch or dinner menu planning. 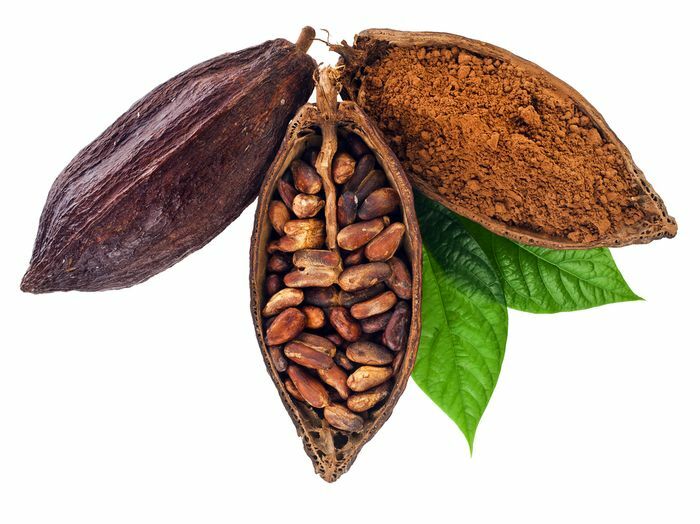 Cocoa powder is easy to carry and all you need to have is a cup of hot water for 112 calories per ounce of pure enjoyment. Great for drinking after a long day of hunting when it’s time to relax after the evening meal. This dehydrated meal is a great alternative for breakfast or as a dinner meal. It gives you 145 calories per ounce and makes the perfect filling for tortillas. 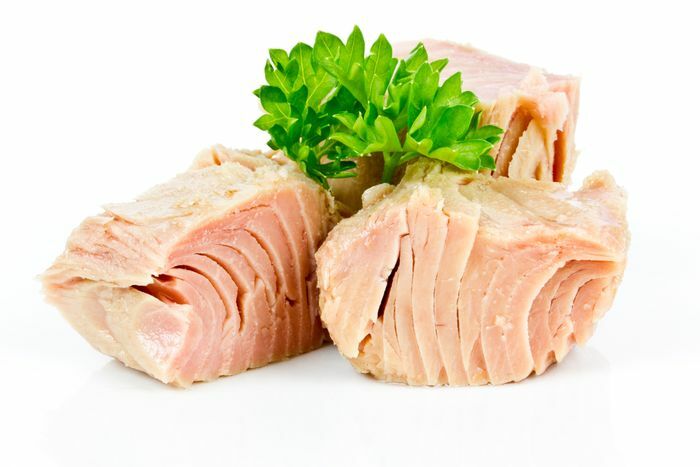 Canned white chicken meat adds only 45 calories per ounce, but it does provide a generous amount of protein. It can easily be incorporated into any pasta side dish an is easy to pack because of the small size of the can. 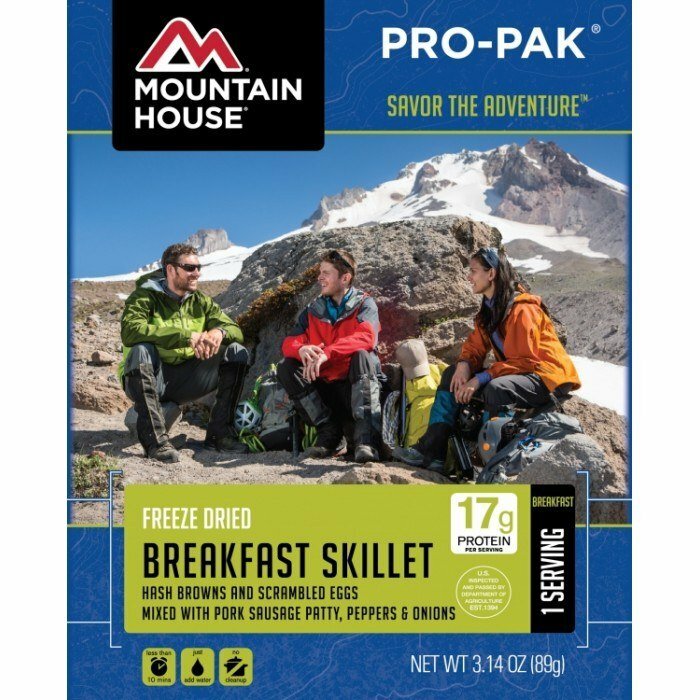 An alternative to canned chicken, if you have a cooler at base camp, is to take chicken breasts which may be prepared with olive oil for more calories and served with a side dish. Adding Gatorade in powdered form to water adds 100 calories per ounce. This is a good way to stay hydrated and beef up your daily calorie count. It can also make plain water more enjoyable, encouraging you to drink more to avoid dehydration. 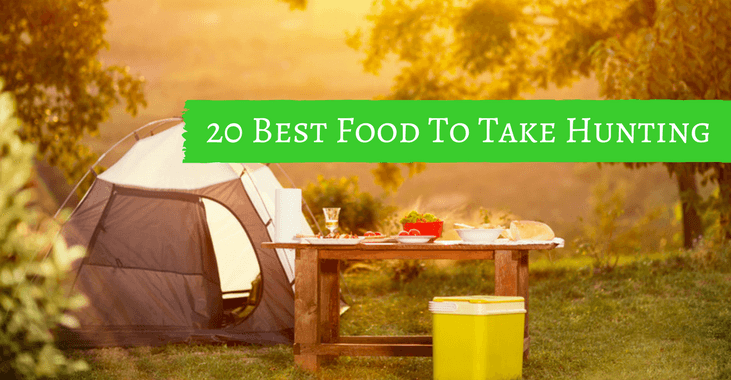 hese twenty foods are some of the most valuable that you can have with you when you are hunting. This is just a small sampling of the food items that are the best choices for keeping your energy and calorie count where it needs to be.